Dorothy Reckner Service Details - East Liverpool, Ohio | Dawson Funeral Home, Inc.
Seabrook, Texas – Dorothy Mae Reckner, 89, was called home to be at peace with Jesus on Thursday, September 27, 2018 at her daughter’s home in Seabrook, TX following a lengthy illness. Dorothy entered this world on November 5, 1928, in Georgetown, Pa. a daughter born to the late Elmer “Buss” and Vernia O. Caine Laughlin. She was a lifetime resident of the tri-state area. In addition to her parents she was preceded in death by her husband, whom she married April 23, 1947, Harry L. Reckner on April 28, 1997; sister Wanda Gilkinson and three brothers Paul, Donald and Wayne Laughlin. Surviving are her children Sandra (Lester) Brock of East Liverpool, Harry Timothy (Geraldine) Reckner of Beaver Falls, PA, Terry L. Reckner of Kenney, IL, Randy W. (Teresa) Reckner of Salem, Steve M. (Melissa) Reckner of East Liverpool and Judith (Bill) Strabala of Seabrook, TX; one grandchild whom she raised Terry L. Lipinski of Pittsburgh, PA; 26 other grandchildren; 55 great grandchildren and 3 great - great grandchildren, a brother Robert (Bob) Laughlin of Weirton, WV and a sister Mary (Rene) Neuber of Mesa, AZ. Dorothy was a homemaker most of her life where her family always came first. Anyone who knew her would say what a very loving Christian Mother she was. Dorothy was a long time member of the Calcutta Church of the Nazarene additionally she was a member of Older Americans of the Salvation Army and Area Seniors. 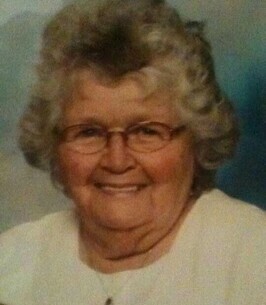 Dorothy loved spending time with her family, traveling, her flowers and was an avid bird watcher from her porch. Dorothy would tell you that her biggest accomplishment and the one that she was most proud of is her 27 grandchildren, 55 great grandchildren, 3 great - great grandchildren and 2 more great grandchildren on the way. Friends may visit Thursday afternoon and evening at the Dawson Funeral Home, 215 West Fifth Street, East Liverpool, OH 43920 where the family will be present from 2 to 4 and 6 to 8 p.m. Pastor Terry Berry will conduct a funeral service Friday at 11a.m. at the funeral home. 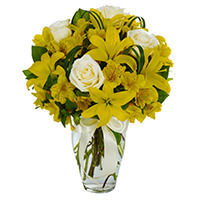 To send flowers to the family of Dorothy Mae Reckner (Laughlin), please visit our Heartfelt Sympathies Store. My heart goes out to your family. I pray for God to bless you and guide you through your time of grief.